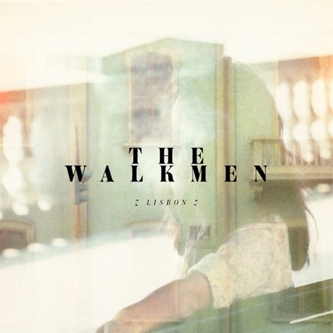 The sixth studio album from acclaimed indie rockers The Walkmen finds them relocated to a new home, at the Bella Union label. Considering the band's layout as a unit doesn't diverge terribly far from the indie norm, they've done a fine job of sounding curiously unlike their peers. The opening pairing of 'Juveniles' and ace single 'Angela Surf City' finds the band striking plenty of distance between their lonesome, quasi surf-rock guitars and muscular, bounding rhythm section, which sets out an unusual sonic template for what's to come. Continuing with the album's strong opening, there's something almost mariachi-like about 'Follow The Leader's frenetic riffing and similarly there's a Western swagger to 'Blue As Your Blood'. By the time 'Stranded' shows up, the band are channelling funereal, 'Last Post'-style Americana with singer Hamilton Leithauser in great form, wearily (and perhaps boozily) croaking his way through a wealth of lamentful verses. With later tracks such as (the actually very upbeat) 'Woe Is Me' and the charming plod of 'All My Great Designs' there's lots of good stuff here - highly recommended.